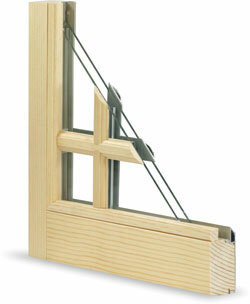 Accommodating, functional and versatile accurately describes Lincoln’s swing patio door product category. Narrower 3 3/8" stile panels embrace modern architectural appeal for clients looking to maximize daylighting in your choice of an inswing or outswing operation. These doors limit the limitations. Large configurations with transoms can be factory mulled and shipped. Pick the door that’s right for you from Lincoln and enjoy the possibilities. 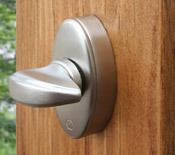 Make a statement with Lincoln’s most popular door product. 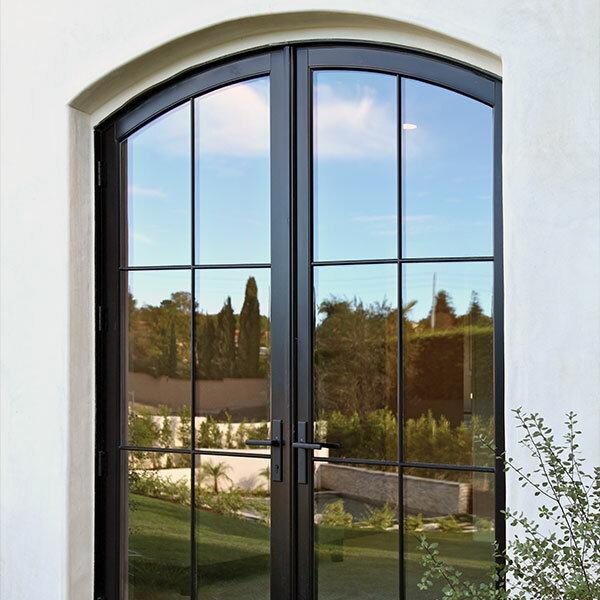 In-swing doors blend with almost every architectural theme and they are incredibly stylish. 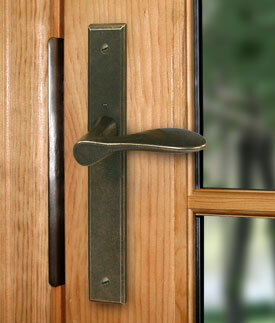 Secure multipoint hardware makes a Lincoln in-swing door both beautiful and strong. 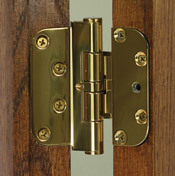 Adjustable hinges are standard (residential) and ball-bearing hinges (light commercial) are available. 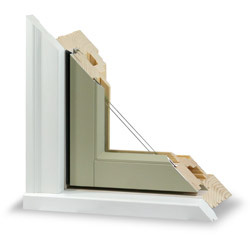 Easy operating sliding screens feature extruded framing for superior strength. 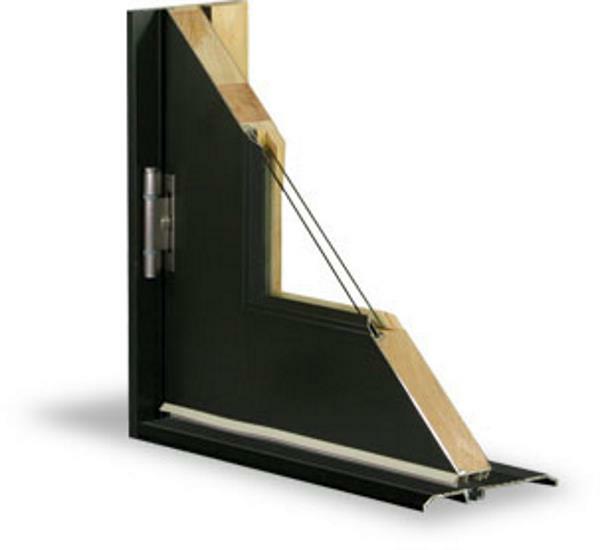 Lincoln out-swing door products are packed with performance and are the platform for StormPoint impact rated doors. 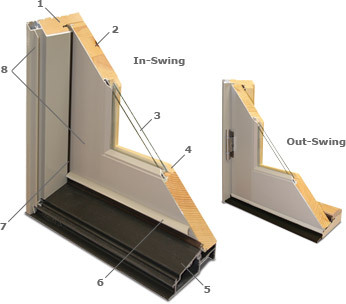 Simply put, the operating sash of an out-swing door gets pushed tighter against the frame weatherstrip during inclement weather. 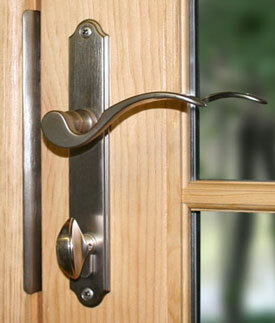 Also, by swinging to a building’s exterior, this type of door will not create an interruption to your interior décor. 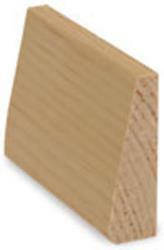 Durable maple thresholds are standard. 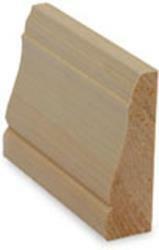 Optional ADA compliant (low profile) thermally broken sills are available. 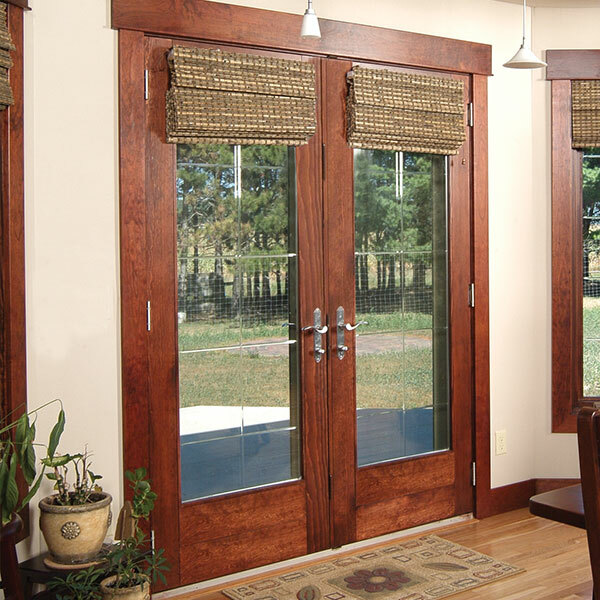 A French style swing patio doors’ most distinguishable feature is its ability to have both panels operate. 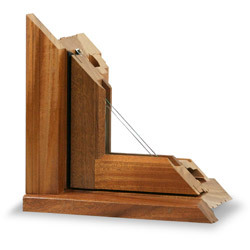 Lincoln offers extremely functional inswing or out-swing models that can be used for large object passageways. 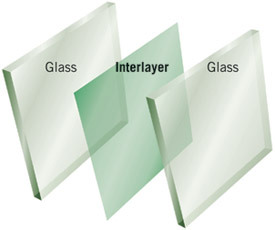 An active panel operates as the primary operator and the passive panel need only be utilized when you want the entire use of the opening. 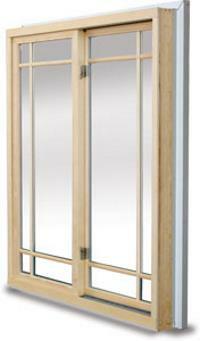 French doors may also be configured with different panel widths. 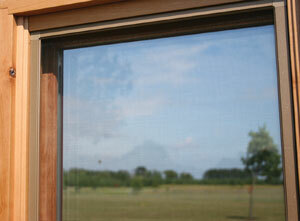 Offset panel sizes create an entrance style look with the functionality of a large net clear opening. 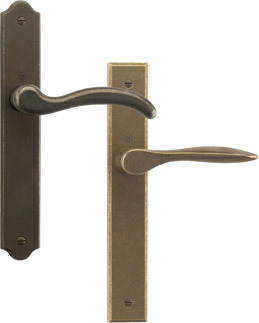 Our strong three-point hardware system looks great, locks securely and is available with either a handle activated bolt or center activated bolt (dummy handle optional). 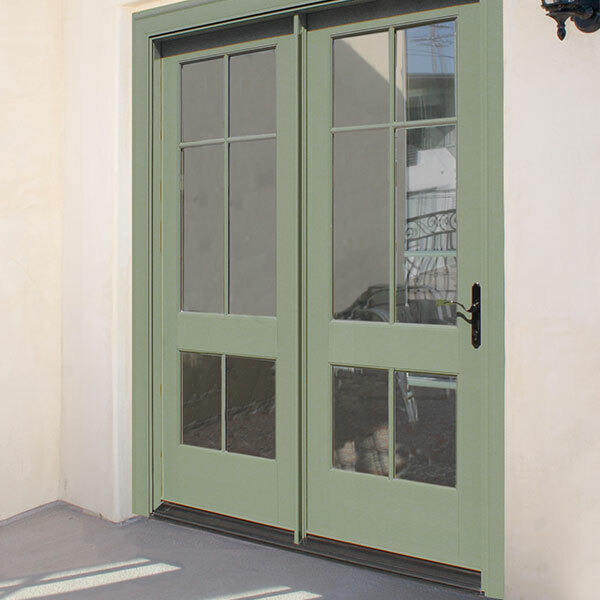 French doors are available in 2, 3 or 4-wide configurations. Enhance your home with a little curve appeal from Lincoln. By utilizing a segment top swing patio door in your design you incorporate a subtle accent that compliments almost any architectural theme. 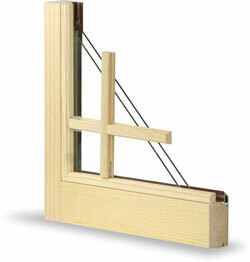 The radius option, available in 6’ radius only, can be used with both in-swing and out-swing patio doors. Select your radius top option for a single door or use it with our factory mulled side-lite combinations for a more dramatic statement. 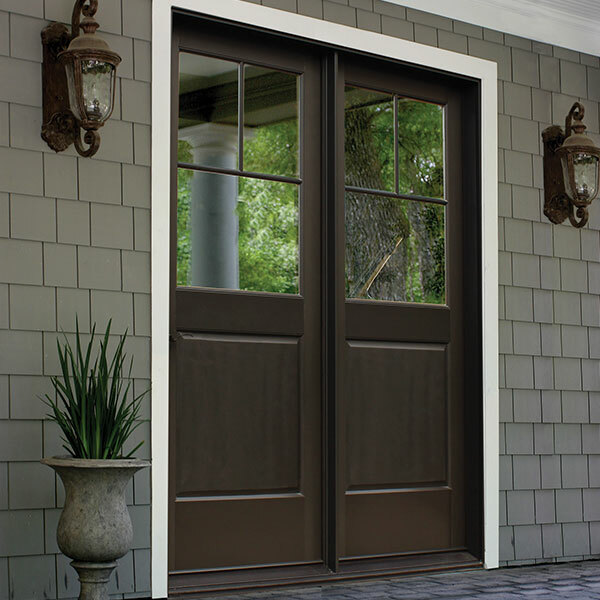 Whether viewed from the curb or inside your home, the gentle slope of our radius doors have lasting design appeal. 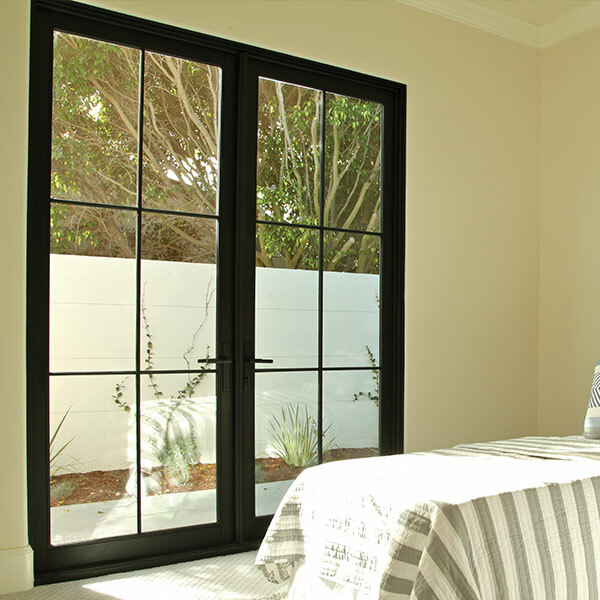 Whether you need to add more light to a room, expand your view of the outdoors, or have the convenience of ventilation without the inconvenience of a screen on your door, Lincoln’s new Operating Sidelites are the perfect solution. 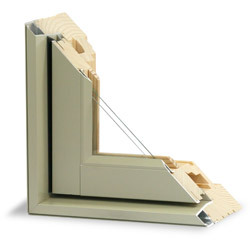 These units are manufactured as an independent frame that can be mulled to a door or installed separately and are available with narrow or wide stiles. 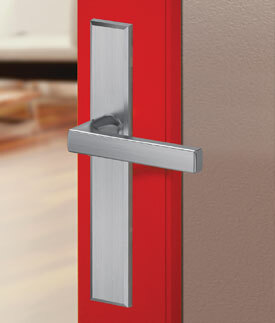 Accessorize your swing doors by inserting an optional mid-rail. 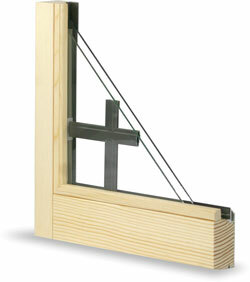 Rails run horizontally and can be located at virtually any height. Additional divisions are made by adding a vertical rail. The spaces created can be filled with raised panels, flat panels or insulated glass. 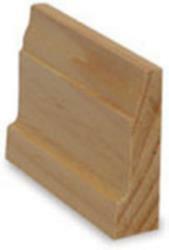 Mid rails sizes are 3-3/4", 4-3/"4 or 6-3/4" and may be used together on the same panel. 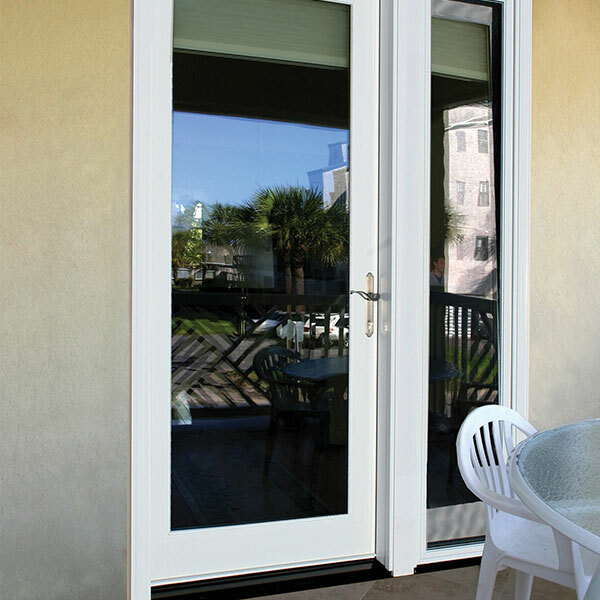 Three bottom rail choices add versatility to swing patio door panels. 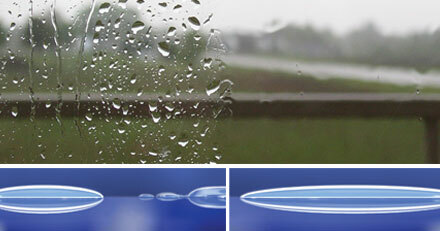 The bottom rail options include nominal measurements of 4-13/16”, 7-3/16” and 12”. 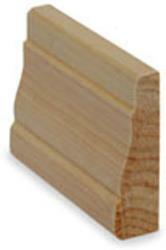 Choose one of the bottom rails with any door height and design a door panel best suited for your project. 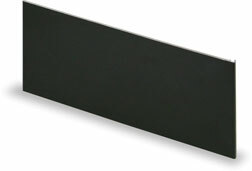 Commonly used on taller residential doors and in light commercial applications, our durable 12” wide bottom rail allows ample room for a kick plate. 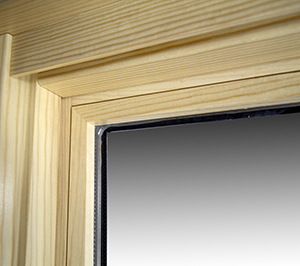 A panel option door is defined by inserting a horizontal and/or vertical mid-rail into our swing door panel. 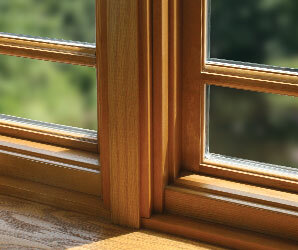 They are usually located on the lower part of the door sash and are customizable in size. 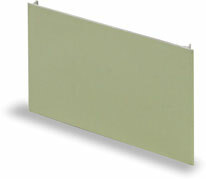 The stylish and architecturally friendly raised panel adds depth and feel to contemporary or traditional design themes. 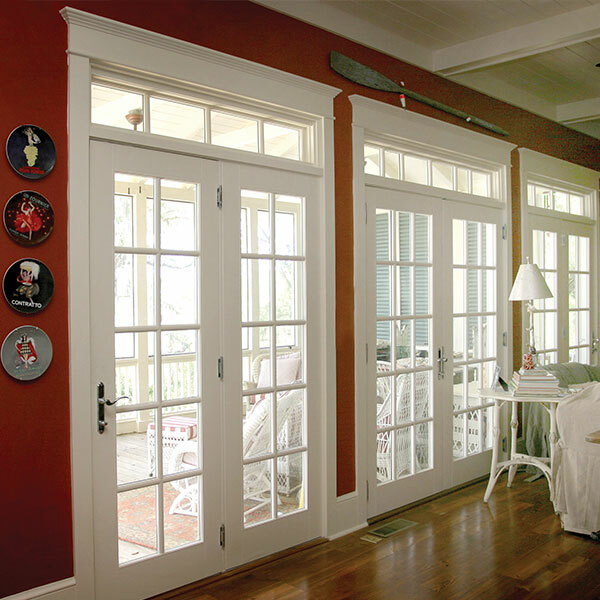 Raised door panels feature durable color-matched polane painted exteriors. 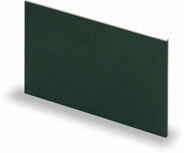 Flat panels are popular because of straight clean aesthetically pleasing lines. These panels are insulated with a painted extruded aluminum veneer exterior (Aluminum Clad) and thick stain-grade wood interiors. 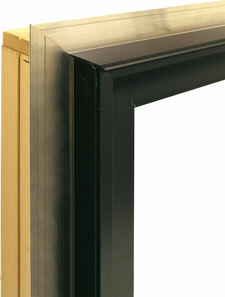 Lincoln swing doors feature a 4 9/16” jamb depth that will accommodate an additional 2” clad extrusion to the exterior. 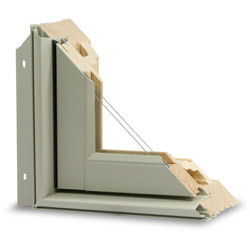 Doors extended in this fashion will have full hinge travel on a 6 9/16” wall thickness. 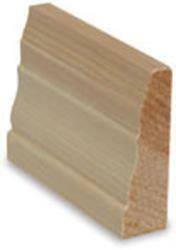 Additional interior wood jamb extensions are available for thicker walls. 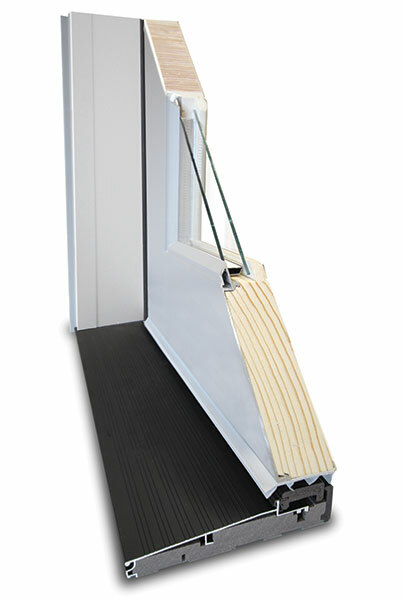 Low profile sills are easily adaptable to our frame components making the Lincoln swing doors ADA code compliant and can be used in most light commercial applications. 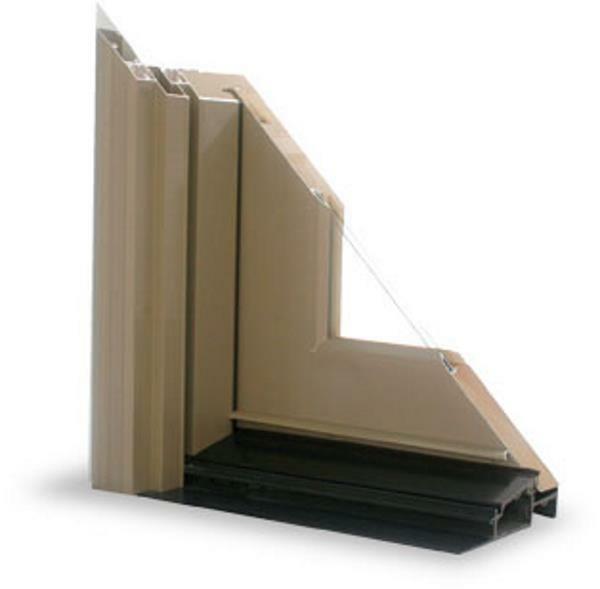 ADA sills are constructed with extremely durable dark bronze anodized aluminum complete with a thermal break for better energy efficiency. 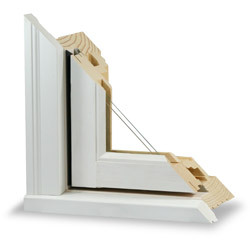 This option is available in 4 9/16” and 6 9/16” jamb depth. 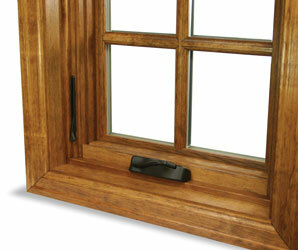 Lincoln’s entry sill option resists weathering, keeps air and water out and provides long-lasting adjustability. 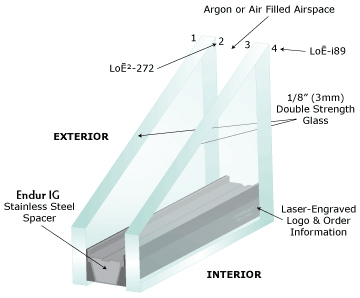 Heavy-duty aluminum frame incorporating a hinged panel screen. 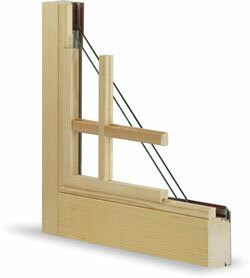 For French out-swing screens, the active panel is center latched and the inactive panel spring latched at the top and bottom. Out-swing screens are only available for single units and French doors.